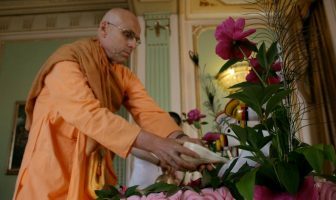 There is a story about a vaisnava, in the time of the goswamis when the Radha Govinda deities were still in Vrindavan, who was serving in that temple in a very humble position – he used to sweep the courtyard. In India, one who is a sweeper is not considered to be a very elevated person. 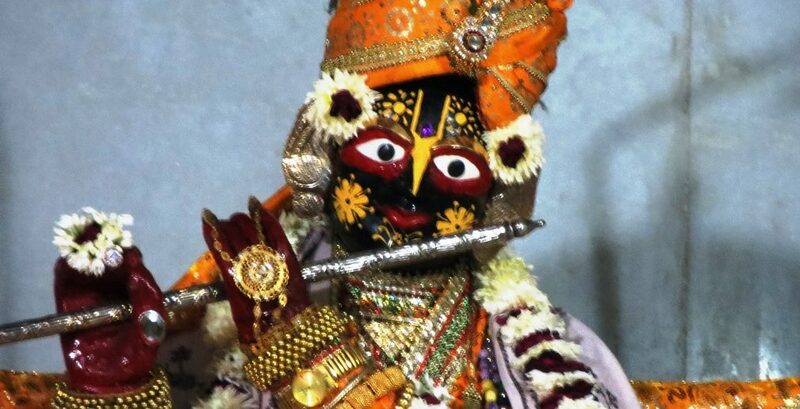 He was known as Krsna Das. 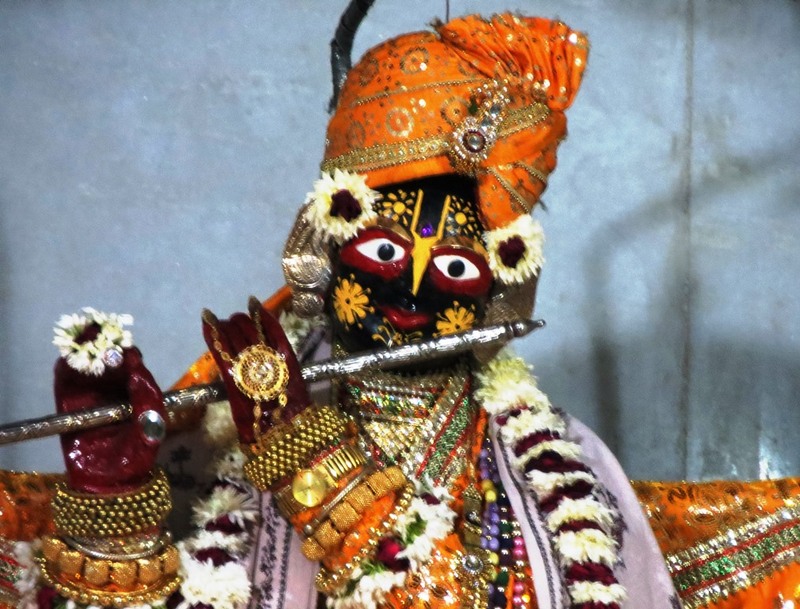 Once the King of Jaipur, who would regularly come to Vrindavan for darshan, had a dream and in this dream, some mahaprasadam of Radha Govinda was offered to him. As he tasted that prasadam, it was amazing. He had never in his life tasted anything as refined, as sweet and as nicely prepared as that. He asked, “Who cooked these preparations? What an amazing devotee that must be! 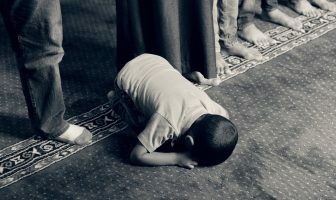 There is so much devotion that one can taste in the preparations. 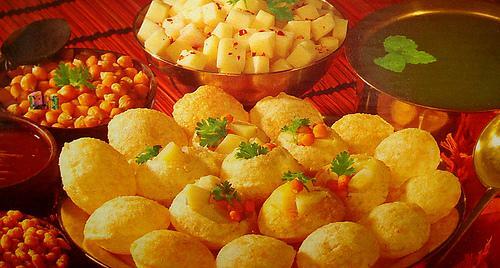 Who cooked?” Then in the dream, it was said that it was Krsna Das who had cooked. So shortly after that, the King had visited Vrindavan and said, “I want some of that mahaprasadam, especially that which has been cooked by Krsna Das.” Everyone goes, “Krsna Das! 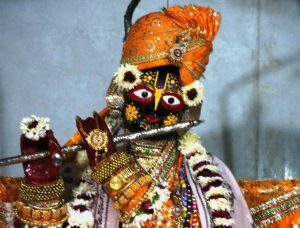 Who is Krsna Das? We don’t have anyone cooking here named Krsna Das.” Finally, it came out that there was only one Krsna Das in the whole congregation and he was sweeping the courtyard so the King was a little bewildered. Then it is said in the Caitanya Caritamrta that the truth was revealed in the heart of the King; Sanatana Goswami said that to the Nawab Hussian Shah. So, the King felt in his heart that actually something special was going on with Krsna Das. It turned out that Krsna Das, although externally was sweeping the courtyard, had internally in his mind been cooking for the Lord! That came out now and by the arrangement of the King, he was asked to cook for the deities and then indeed, whatever he cooked was just incredible. From that day on, he became the cook of the deities! That is the lower platform! That is the platform of material attachment. That is the platform of thinking that unless I satisfy these needs; I will never be able to progress. We can see the higher level, which makes one fully satisfied, is that level of leaving it entirely to Krsna; this is the stage where one can come to transcendental loving service to the Lord, where ecstatic symptoms are awakened! Hare Krishna mataji,a wonderful article. Well done!